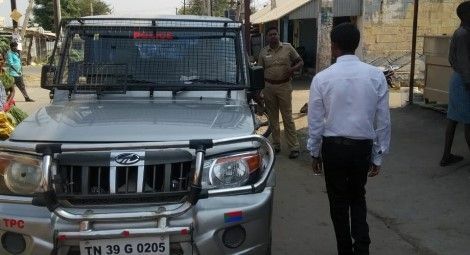 On 24 March, police in Tamil Nadu state ordered the shutdown of a prayer meeting which has been held in Tiruppur District since December 2018. Pastor Allen Gobi’s church, Family of Jesus, has about 25 attendees is one of 38,000 churches across the state overseen by The Synod of Pentecostal Churches. Ten police officers arrived just as the prayer meeting was about to start at 9:30am on 24 March. They refused to allow the service to continue and demanded that the meeting be closed immediately on the basis that the Christians did not have permission to conduct worship services there. The pastor has told CSW how he was continually harassed by the police to obtain permission to conduct the prayer meetings or face closure. Pastor Gobi was eventually escorted to the police station, where he was forced to sign a written admission that he had no permission to conduct prayer meetings in the property. Tamil Nadu has witnessed an unprecedented surge of targeted attacks by local Hindu hardline groups where prayer meetings are the object of arbitrary scrutiny by the police. Local sources say that the Hindu Munnani (Hindu Front) had submitted a petition to the police to take action against the church and that the complicity of state actors in disrupting prayer meetings is now a common pattern across the state.